Homeschool is something I’m really passionate about. Correction. Teaching is something I’m really passionate about. From the time I was a little girl I’d sit my girlfriends down and play school. I still remember how I made a neighborhood library for my friends complete with date cards and homemade return stamps. 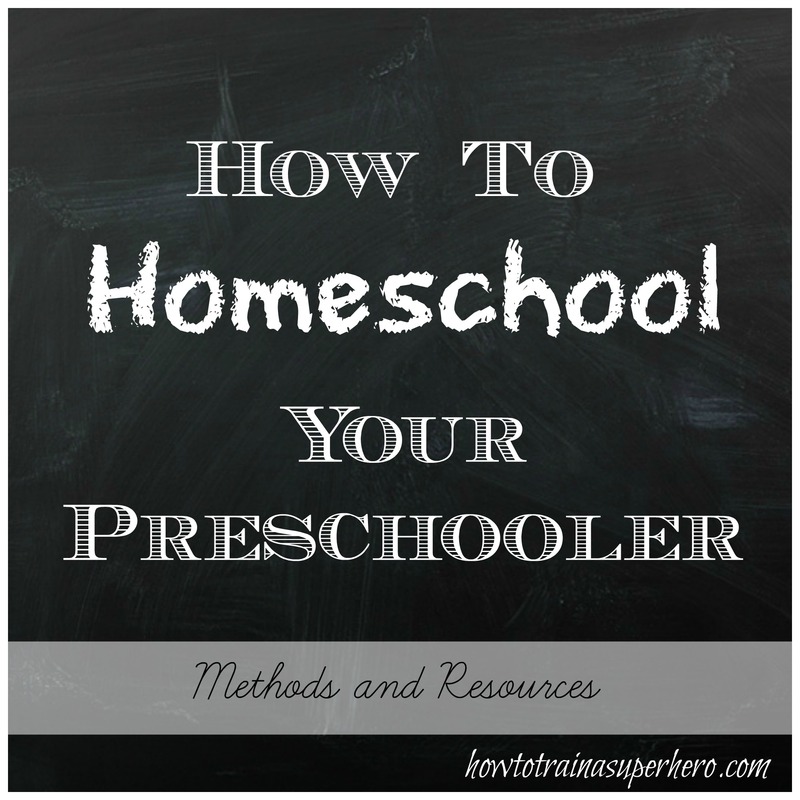 I know this because one of my top pinned posts is on my homeschool series. Before I go in I’d like to clarify. I am in no way an expert at this. 2013 was my first year embarking on this journey. So I’m an average mom seeking to further and expand the knowledge of my children through one on one teaching. So I’m still learning things and changing and tweaking things constantly. I am not a teacher and have not taught in a traditional setting of students. I’ve been fortunate to find resources and have had them passed down to me along with teaching guidelines and manuals. I do not currently homeschool grade school. 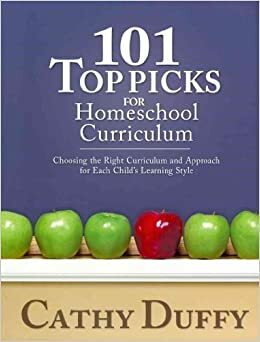 Just preschool for now, though my husband and I have talked about furthering our homeschool experience, so I may only be able to provide my best opinion and advice from my experience with preschool. 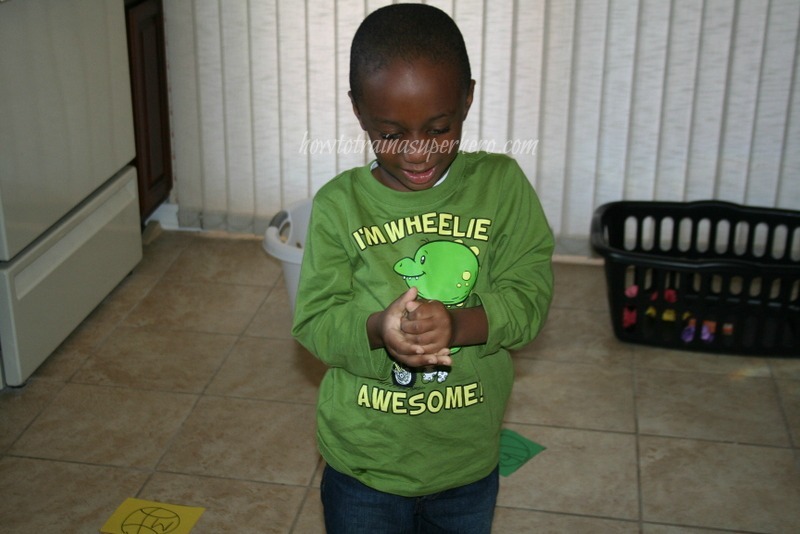 Why I choose to homeschool my preschooler. I choose to so because it is my responsibility as a christian,and as a mom to teach my children and influence them according to Titus 2 and proverbs 22:6. My Kid hero attends a traditional school and through this past year he has come in contact with some situations that have allowed my husband and I to intentionally impart wisdom and the word of God to him. He has grown so much in trusting the Lord with his life and his understanding of the world. Our school district is also exceptionally great. So my belief is that homeschool is an important decision that you and your family should make according to your beliefs and values. 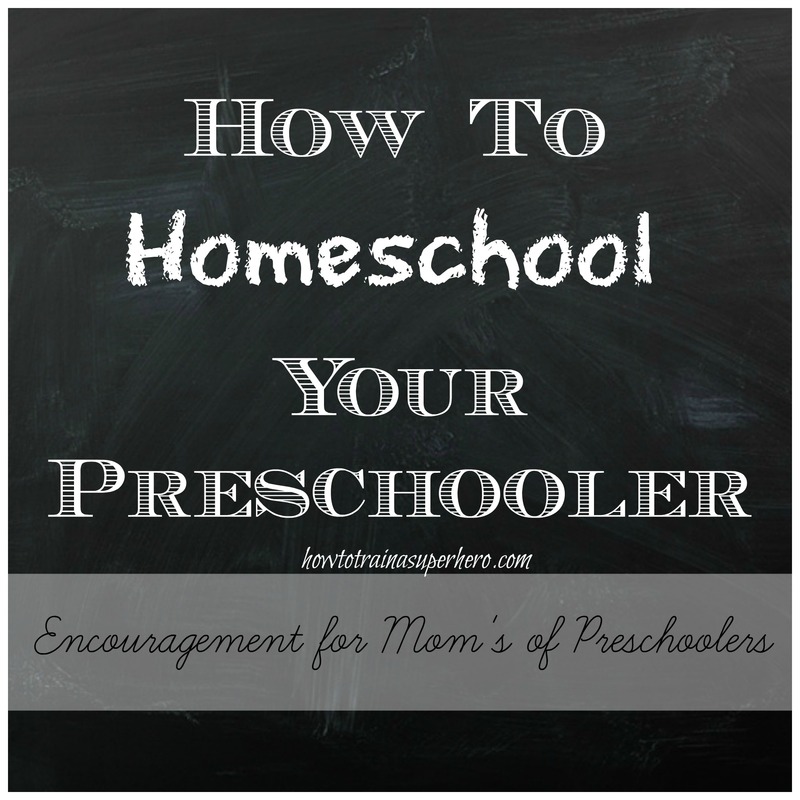 Instead of writing this all my self, I thought this might help out any newbie homeschooling mama’s. So now that all of that is out of the way, I think it’s safe to confess that this past year I’ve made some mistakes; trying to do it all. 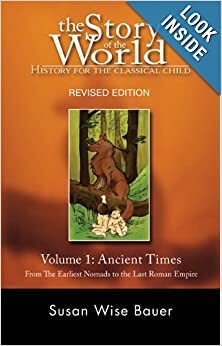 I wanted to make sure my child knew everything but it’s best said that choosing the most important subjects for your child to learn and then maybe some extra curricular activities are important in this process. And since we are only embarking on preschool, I’ve chosen to teach my Hulk Smash basic writing skills, language and literacy, gross and fine motor, and mathematical thinking. We do a combination of workbooks, worksheet, hands on, unit study. For me, I need the guidance of a textbook with structure and order. So I would be considered an eclectic homeschooler. My hulk Smash learns best by being hands on. 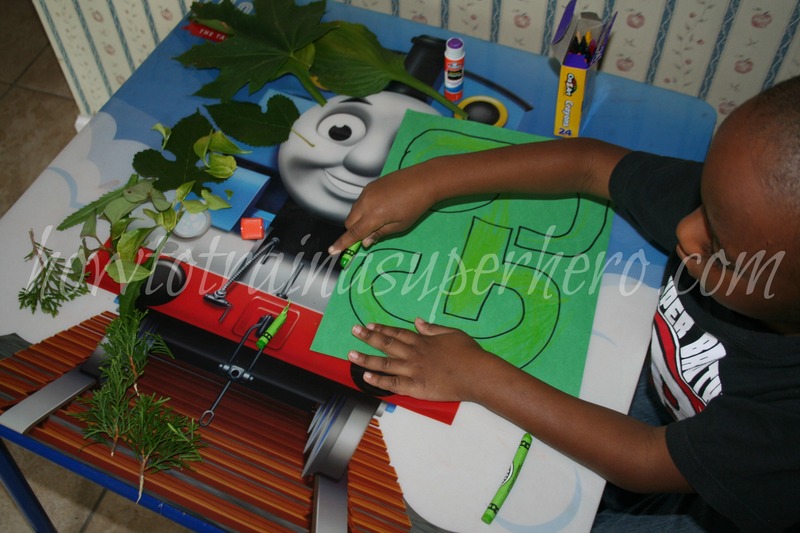 Really all preschoolers will but the way you incorporate that might look different. This is self-explanatory. If you are a planner and the type that need guided structure like me, then setting curriculum goals will probably work for you. 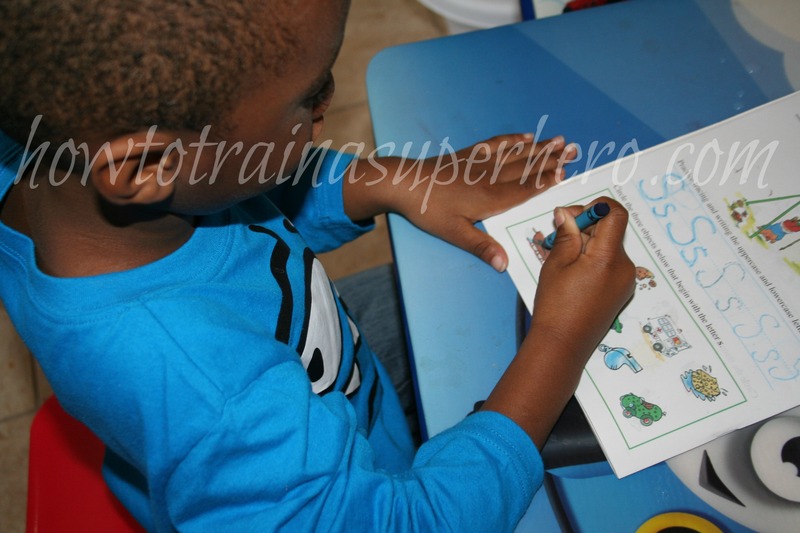 If you’d like for your preschooler to learn about the weather, animals, or what have you, you would write it down in your goals and what you would like to learn in those particular subjects. 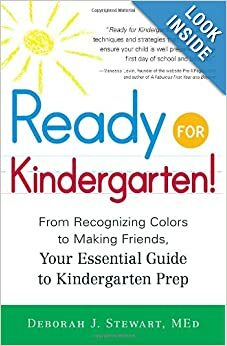 Check out this list as a guideline for what your child should know by kindergarten. I love this book as guideline too. 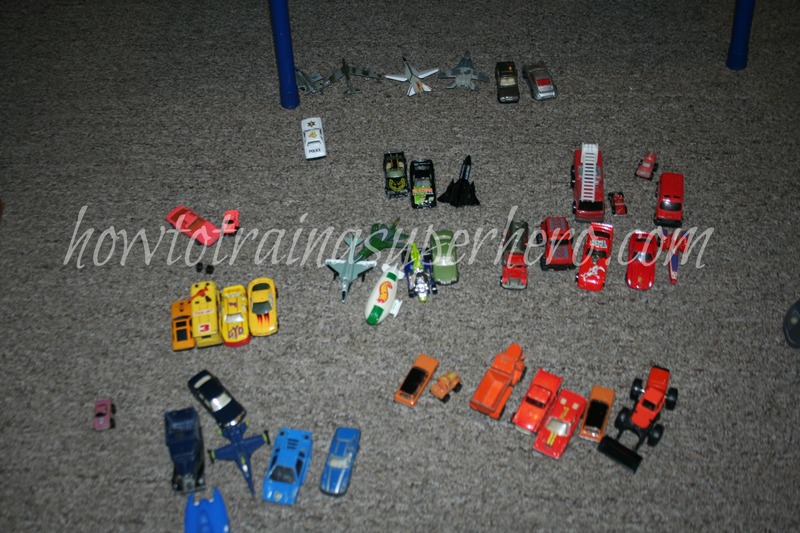 Most of my resources have come from our local thrift stores. Check those out! I’ve found that many people give away parts of their curriculum when they are done with it and most of it will end up at the thrift store. If you plan a year ahead, you can scout out books the year before and grab what you need for the up coming year. 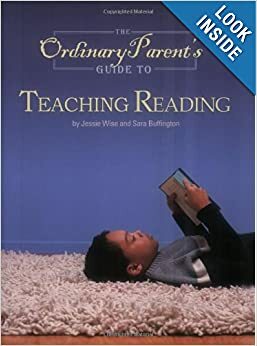 Read books to help you develop a plan of teaching and plan your year out on paper. Use your planner as a guide to help you with where you should be. You can never read enough books. We do preschool in my small kitchen. I wanted a area that was separate from the rest of the house but this will not happen for some time. So my kitchen is where it all happens right now. I store supplies in my kids room in bins, containers, shelves and buckets. My hubby just recently built us pallet shelves! There are more to come! I use tin cans wrapped with jute from our wedding to organize most supplies. To schedule my day I use a calendar schedule that I made in a word document. It allows me to schedule for weeks or days easily. I did not give myself enough of this and as a result, I was severely overwhelmed. I got sick, my hubby got sick, my kids got sick and the holidays and snow days happened. Stressful! Just like any other homeschool setting, schedule off days and sick days. Be consistent- I cannot say that enough. The days get hard with a strong-willed child but I try to keep in mind the goals that we have for him and the prize of learning at the end of the year. We love the measured moms resources! 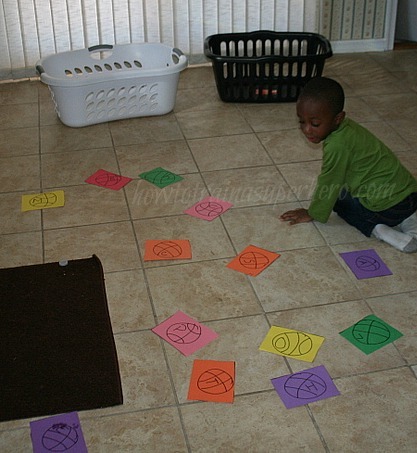 Especially the emergent reader packs, beginning sound mats. 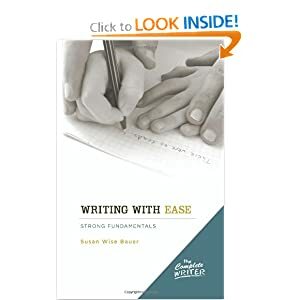 Writing- We currently use a journal that I have put together with construction paper and printer paper. We write in this at 2x a week. 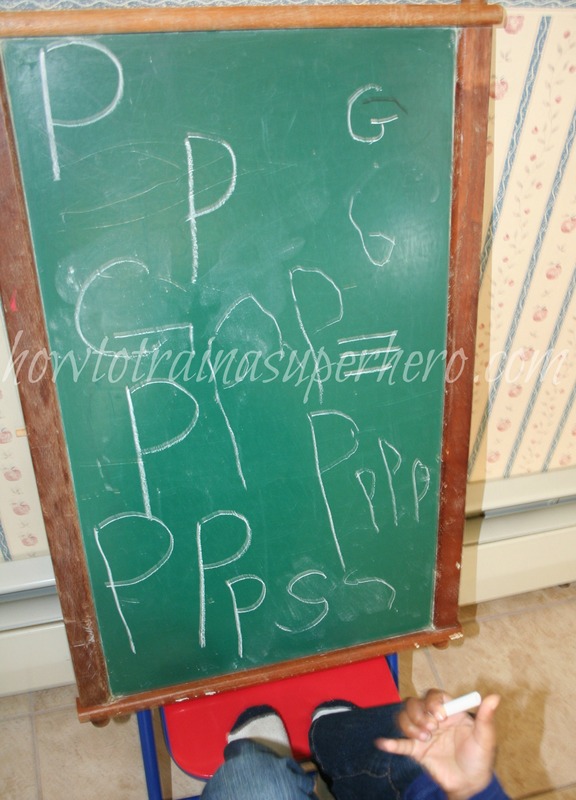 It helps to get my preschooler excited about writing and with reading comprehension and responsiveness. We also use manipulative’s like play dough, blocks, crayons, noodles, and such to practice letter writing as well as a dry erase board, manuscript practice books and worksheets. 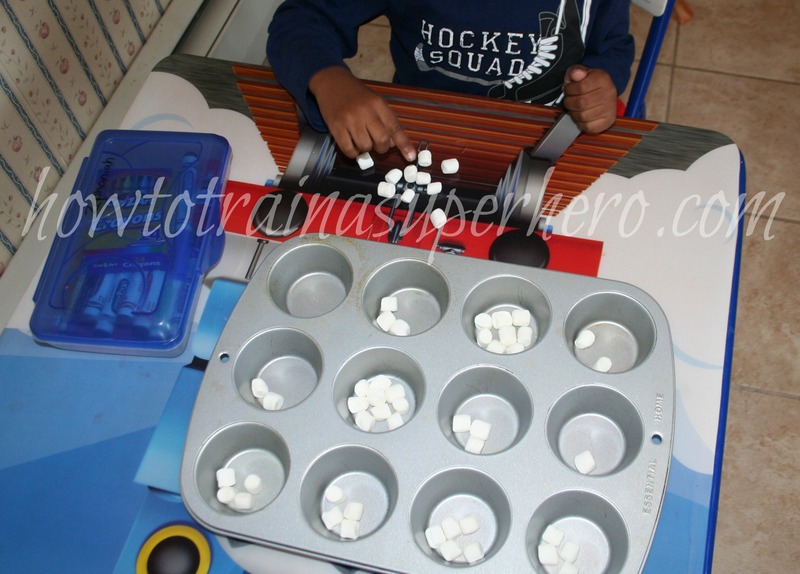 Phonemic awareness- In the beginning we started with basic alphabet recognition and have since moved on to beginning sounds and emergent reader activities. 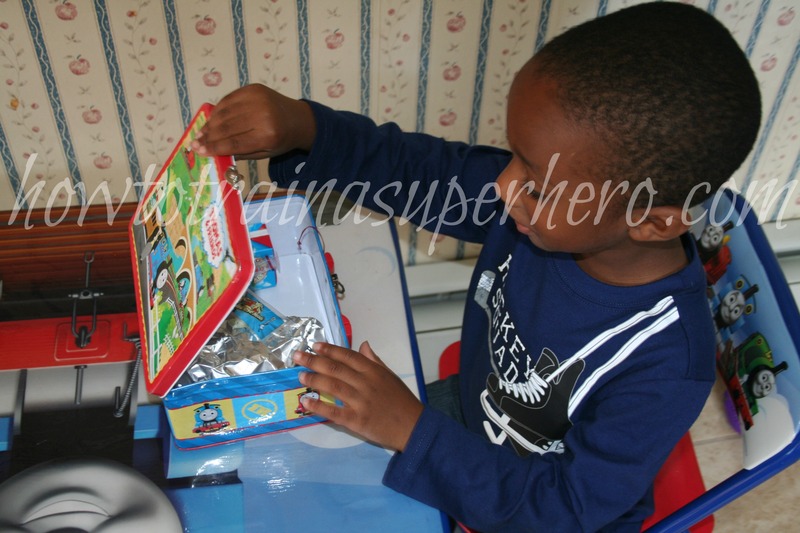 Reading and language- We Read a lot of books, participate in finger play activities. Nursery rhymes are amazing! Mathematical Thinking-In the beginning I tried those pinterest games for math but it was not helping. My Hulk Smash wasn’t learning the numbers memorizing the games. So I have since started these worksheets along with the games and other activities as well as manipulatives for math that I got at a thrift store. I’ve used things I have at home for this. like homemade play dough, clothes pins, lacing cards, scissor cutting practice activities, magnets and paperclips, pom poms, marshmallows. You name it! In the warmer months we have gone to the park and out side to play, ride bikes and such. In the colder months my preschooler rides his bike in our garage and goes out to play out there as well. I will focus more on unit studies and lap books next year when we have these basics covered. For now we have looked at weather, president’s, Johnny Appleseed, Dr. MLK leaves and plants, apples,and measurement. Jamie at the Unlikely Homeschool is my favorite to read. Her idea’s and methods of explanation are a Godsend. She’s very straightforward and intentional. 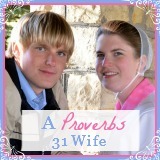 I would recommend reading her blog all around. I hope this is very helpful to a mama looking for direction or some answers. I have not blogged in about two weeks. Happens like that at times. I hope you all can understand that my life is CRAZY! My whole house has been under the weather for a few days so I have been trying desperately to press on and just get things done. I can’t help but think that my brain has been under the weather long before those few days. But I am so thankful and grateful for the great spirits that my children, hubs and I have been able to keep since then. Hulk Smash and I took a week off from preschool last week to organize the madness of my husbands stuff. Being married to an artist? Crazy! 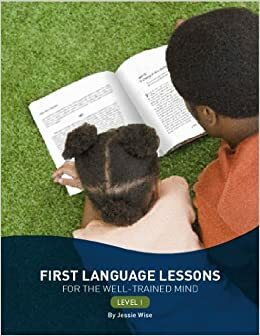 I managed to sneak in a few lessons here and there and I’d like to share with you today a game that might be helpful in your preschool journey. I’m a fan of printables but not a fan of how much ink I use and the cost of it. 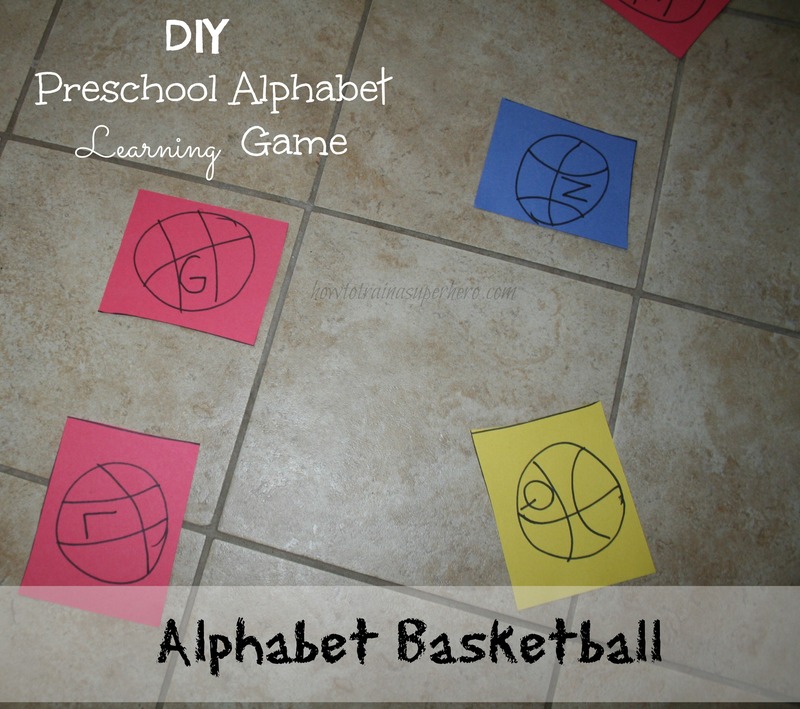 The concept of this alphabet learning game came from a printable I saw once on pinterest. I am certain the game worked in a way that mine does but my preschooler enjoys the colors much more and the fact that we incorporate household items into our game. 2. Write the letter that you’d like them to choose on your board (Ex. Can you find the letter C?) When they find it (and they may not, help them along by showing them where it is and letting them pick it up. I usually do an announcer voice and pretend HM is an all-star) introduce the sound that the letter makes and have them repeat. HM has found the (C sound) C!! HM what letter do you have? (He will shout C! Be encouraged to pump it up and let them shout!) HM what is the sound that C makes? 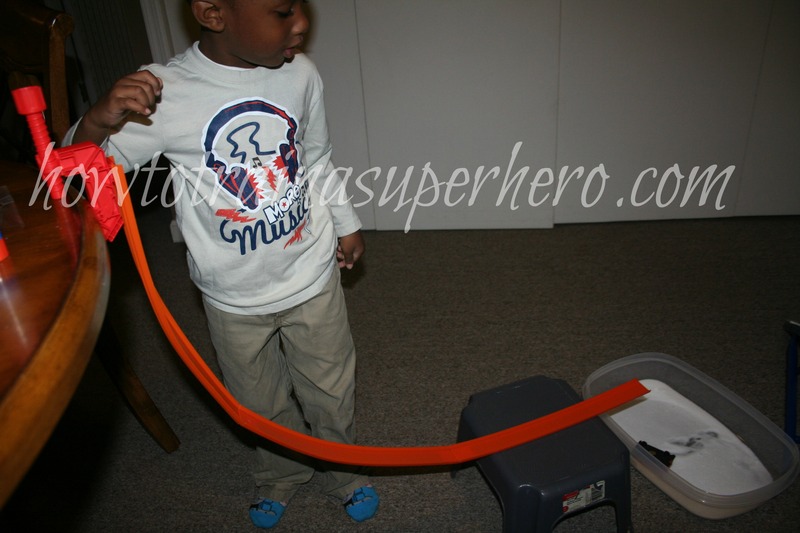 (In the beginning I had to help him by repeating the sound and letter but we do this every Tuesday so he knows now what to do) Let’s see what he does with it! Crumble up that letter C and take it to THE HOOP! 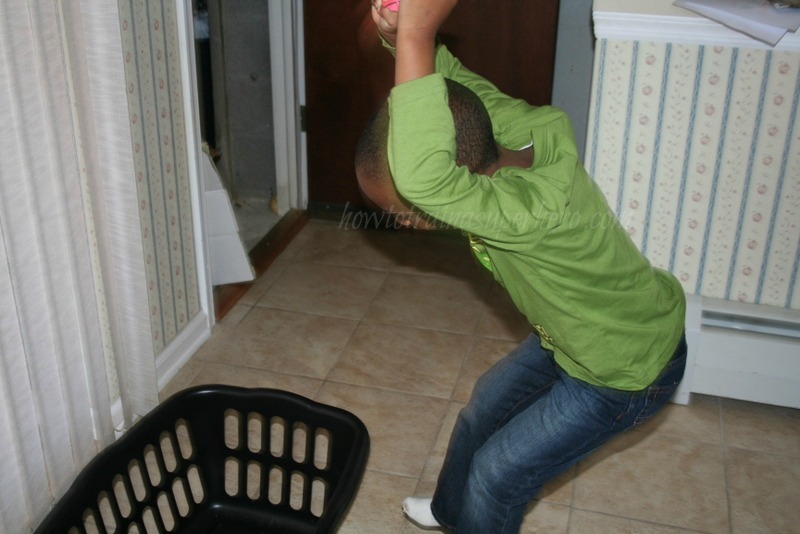 (he usually is running to the basket at this point) Will he dunk it or just plain shoot it? 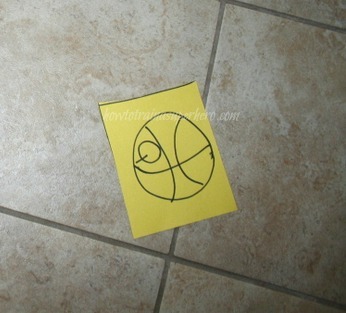 He’s running down the court in high-speed and he SHOOTS!!!!! YES!!! Perfect score by HM! Ideally this would be perfect for a little boy but you can improvise with all sorts of things to suit for little girls. I personally think a little girl would enjoy this game without all the noise maybe. Well thanksgiving is coming! And I am patiently looking forward to a week off from preschool and food! Please let me know how you like this game! And as always, with everything I post, I hope it helps and is an idea you’ll keep! I’m so thankful for the holidays. It is always a blessing to me and my family to experience togetherness.